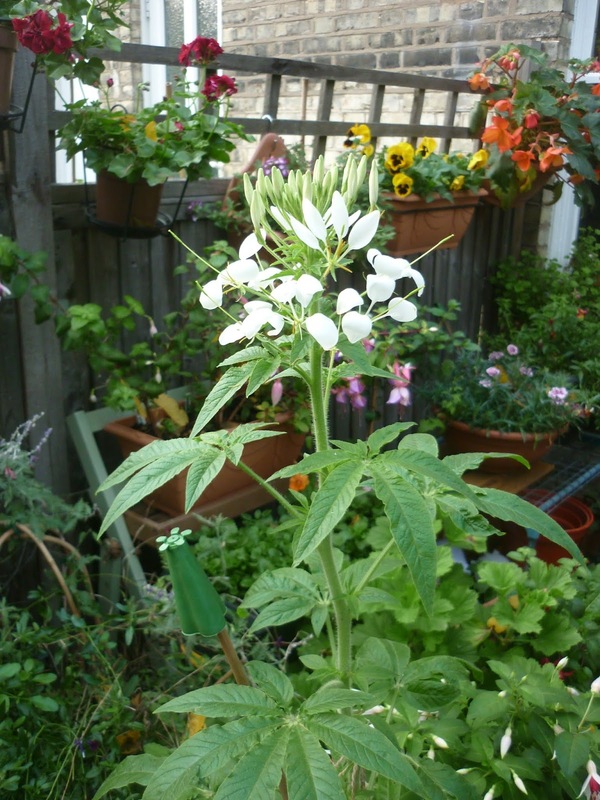 A self-sown Cleome - usually a late summer flower - which accompanied us in the move and is now 4 feet tall! Fleetwood Mac never sounded so good. I love the delicate, exotic/alien insect-like flowers of Cleomes, and your giant looks amazing! I don't like their prickled-haired stems and stalks, though. "Have you seen Bungle's twanger?" In twenty-seven languages she couldn't say "no"